The glycemic index is a scale from 0 to 100 that ranks how quickly certain foods cause a rise in blood glucose levels. The higher the number, the faster you digest that food, which causes a more rapid elevation of blood sugar levels. Pure honey has a ranking of 58 and maple syrup's glycemic index number is 54. Diabetics, in particular, may find the glycemic index a useful tool for optimal blood-sugar control and meal planning. 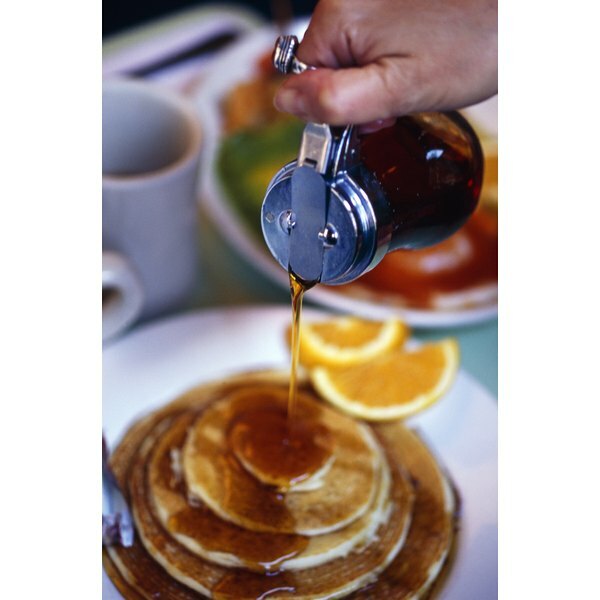 The American Diabetes Association recommends selecting medium or low-ranking foods from the glycemic index, while pointing out that only a minute difference exists in the glycemic index rank between honey and maple syrup. Like agave syrup or white sugar, they are simple sugars that will cause rapid elevations in blood sugar, so consume them only in moderation.